Capt. 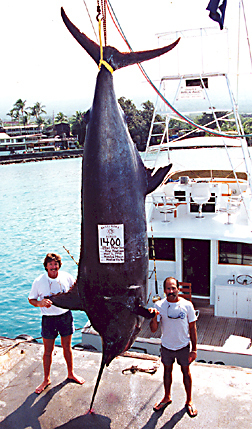 Marlin Parker of the MARLIN MAGIC was baiting with an aku a few miles outside of Honokohau Harbor when he hooked Roy Hudson to this enormous blue marlin. Roy battled the billed beast for three hours.